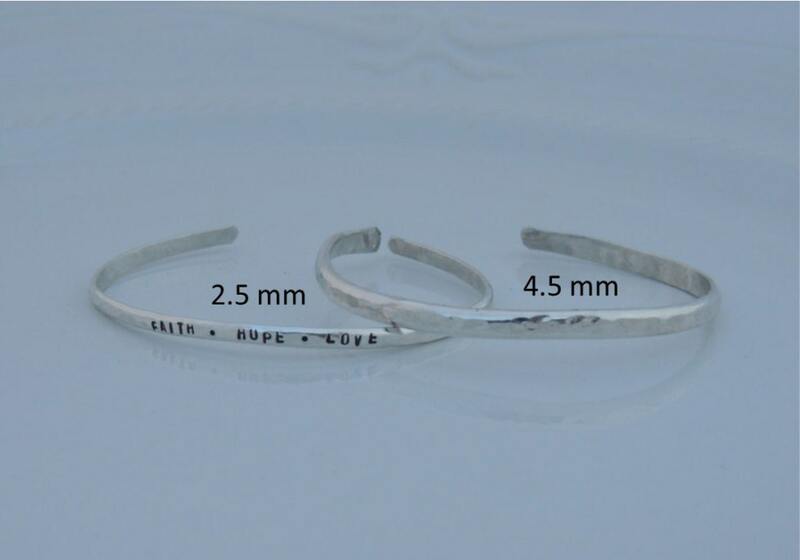 Choose from two different cuffs, 2.5 mm or 4.5 mm wide with a hammered or smooth finish. 1. Cuff measures 2.5 mm or 4.5 mm in width. 2. Choose your finish from the second drop down menu. 3. 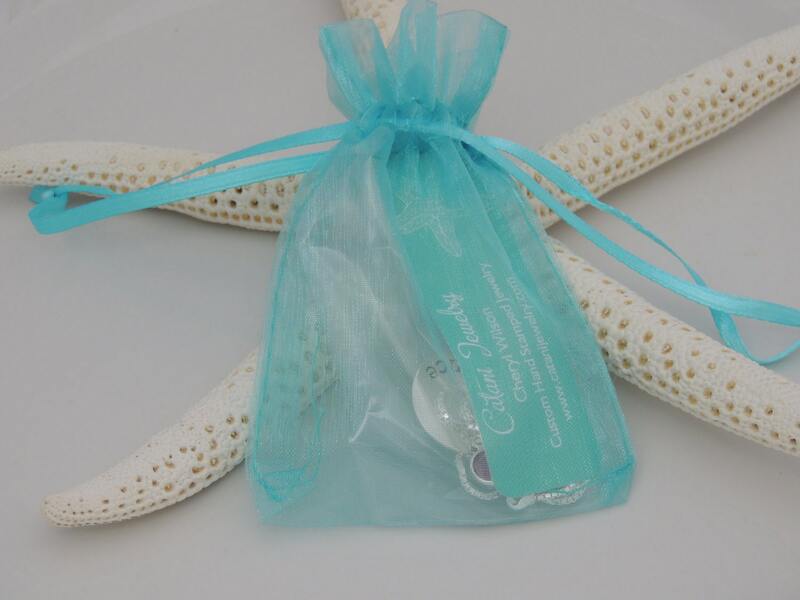 Please leave me a comment in the notes to seller section at checkout with the text and/or dates you would like hand stamped on your bracelet. Please note I can stamp a max of 28 characters. If you would like more than 28 characters stamped, please convo me for a custom price. Thank you. 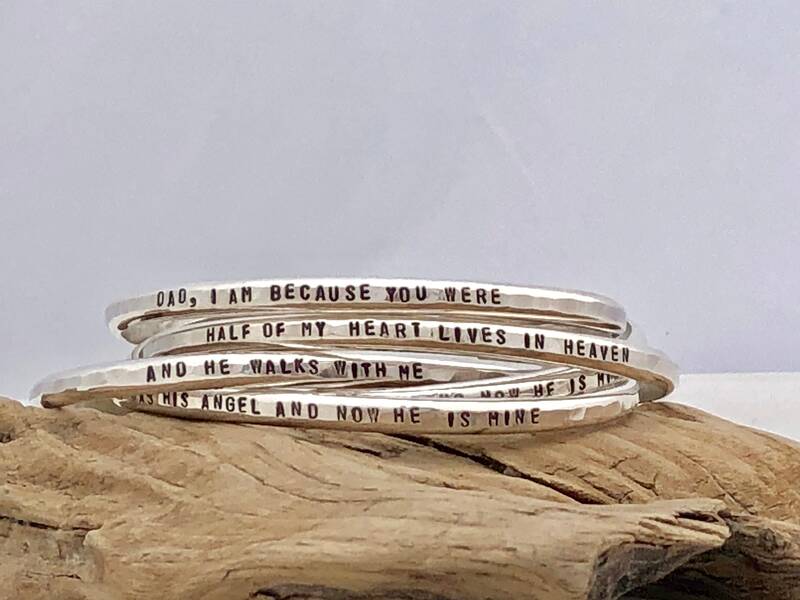 This is the second custom bracelet I’ve ordered. The artist’s work is beautiful and it arrived quickly. Could not be happier! 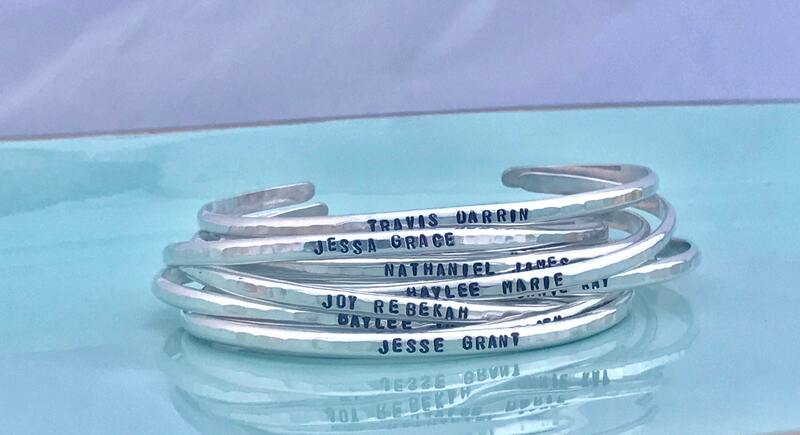 A lot of engraved bracelets online look like they won't last, and are too expensive for the money. 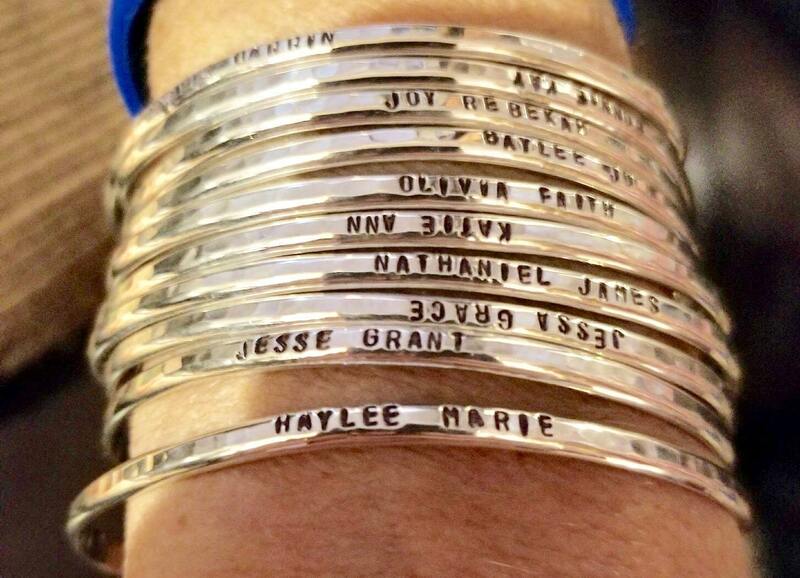 However, this bracelets is absolutely perfect. It's very minimalist and sleek, which I love. It is clearly high quality, and very comfortable to wear!